The NFXF is honored to have been asked by the John Merck Fund to help share the exciting news about two new million-dollar grants for treatment related research in Fragile X syndrome. Both grants go to well-known and well-established researchers in the Fragile X field, Drs. Craig Erickson and David Hessl. Both Dr. Erickson and Dr. Hessl are active in the Fragile X Clinical & Research Consortium (FXCRC). (Dr. Erickson at the Cincinnati clinic and Dr. Hessl at the Sacramento clinic). Dr. Hessl is also currently receiving funding from the NFXF for a treatment related study. The NFXF congratulates both and we will keep our readers informed about the progress of their work and how it will benefit families. We extend our great appreciation to the Merck Fund for their strong interest in Fragile X! 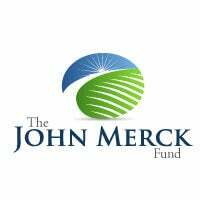 BOSTON, MA – February 13, 2013 – The John Merck Fund announced today the first three grants – of $1 million each – through its new multi-year research program to support translational research into developmental disabilities. The Translational Research Program supports scientists in developing treatments and improving outcomes for individuals with developmental disabilities, particularly Down syndrome and Fragile X syndrome (and Fragile X-associated Disorders). Project Summary: There is strong evidence to suggest that acamprosate – a drug that has already been approved by the U.S. Food and Drug Administration for use in treating alcohol dependence – could be a safe and efficacious drug treatment for youth with Fragile X syndrome (FXS). This research project will provide the first double-blind, placebo-controlled trial of acamprosate in youth with FXS. In doing so, it will lay the groundwork for future potential acamprosate research across a broad spectrum of developmental disabilities. Project Summary: Extensive research focused on animal models of Fragile X syndrome shows that targeted pharmacological agents can reverse some cognitive and behavioral deficits. This work has led to multiple controlled trials now underway in humans with FXS; however, there are no empirically validated cognitive or behavioral treatments of FXS. This research project will provide the first non-pharmacological, controlled trial for FXS and will evaluate the efficacy of Cogmed, an online cognitive training program proven to enhance working memory and executive function – but not yet with FXS. Demonstration of effective Cogmed training for FXS would represent a major advance in the field, one that may also generalize to other forms of intellectual disability. Project Summary: Where most people have two copies of Chromosome 21, those with Down syndrome (also known as trisomy 21) have all or part of a third copy of this chromosome. This project will pursue a unique approach to Down syndrome translational research based on the concept of functionally correcting the over-representation of Chromosome 21 genes, by de-activating one of the three copies of Chromosome 21. The Lawrence lab has long worked on uncovering basic mechanisms whereby the expression of normal genes is controlled during development, through a process termed epigenetics (changes to how DNA is packaged). The overall goal in this project is to translate recent developments in understanding these basic epigenetic mechanisms to a new research frontier in chromosome pathology that accelerates clinical translational progress in Down syndrome. These grant awards were made through a competitive review process that began with 100 preliminary proposals and was narrowed down to 17 full proposals. Applications for future grant awards under this Program can be submitted through the process described on the Fund’s website: www.jmfund.org/TranslationalResearchProgram.php. Initial submissions for the next round of grants (including the title of the project, a 200-word abstract, a two-page narrative description of the research activities and plans for the future, and the NIH biosketches of the Principal Investigators and all members of the team) are due on May 15, 2013. From the preliminary proposals, a limited number of full proposals will be requested for submission by September 16, 2013. For this Program, the Fund is advised by a Scientific Advisory Board, chaired by Marsha Mailick, PhD, Director of the Waisman Center of the University of Wisconsin-Madison, and composed of such other distinguished experts as Guoping Feng, PhD (Massachusetts Institute of Technology), Daniel Goldowitz, PhD (University of British Columbia), Michael Guralnick, PhD (University of Washington), Charles Nelson, PhD (Children’s Hospital Boston/Harvard Medical School), Joseph Piven, MD (University of North Carolina), Brad Schlaggar, MD, PhD (Washington University in St. Louis), and William Snider, MD (University of North Carolina). George Jesien, PhD, Director of the Association of University Centers on Disability, is an ex-officio member. The John Merck Fund has had a longstanding interest in people with intellectual and developmental disorders since its inception in 1970. In October 2011, the Fund announced that it will spend all of its assets over the next 10 years to spur progress in four topic areas: treatment of developmental disabilities, clean energy, environmental health, and development of a New England regional food system. The Translational Research Program is part of that ongoing commitment. For more information, contact Nancy Stockford, Developmental Disabilities Translational Research Program, The John Merck Fund, 2 Oliver Street, 8th Floor, Boston, MA 02109; nstockford@jmfund.org; Telephone: (617) 556-4120. The Boston-based foundation, established in 1970 by the late Serena Merck and now in its third generation of family leadership, currently holds $75 million in assets. Under a plan approved by its Board of Trustees, The John Merck Fund began the spend-out of its entire assets in January 2012 and will award its last grants in 2021 and close its doors in 2022. Allowing for investment income earned during the 10-year period, the foundation estimates that total grantmaking could approach $100 million.